I’m 23 years old. I’ve been a chemical specialist in the Army National Guard for 3 years. I’m currently a nursing student at Ursuline College. Fitness has always been a big part of my life. I ran track in middle school and high school and joined a few intramural soccer teams in college. I’ve always enjoyed working out and pushing myself to be better. I’ve always been someone who likes to stay active. 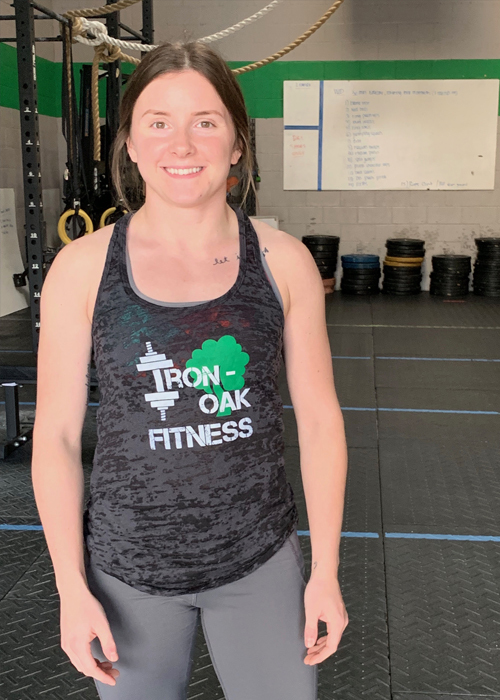 I joined one of the 6-week challenges that Iron-Oak had to offer and ended up having great results and that was really the start of my real “fitness journey”. I am now a coach and a personal trainer. I love helping people towards their goals and seeing their success along with helping them being a healthier version of themselves.